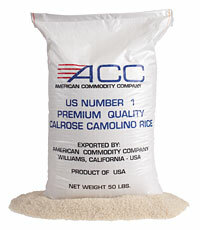 The Camolino process adds a light coating of mineral oil to California’s most popular medium grain rices – Calrose. The Camolino style is most often preferred in the market places of The Middle East and North Africa. This process makes the versatile Calrose variety perfect for Mediterranean cuisine such as paella and pilaf.